April in Gibraltar – pre-summer getaway! April is the perfect time for a spring getaway. It’s the time to clear out all those winter doldrums, sweep away the cobwebs and get refreshed and ready for summer. In Gibraltar, the weather is noticeably hot – certainly warm enough to enjoy afternoons on one of our lovely beaches beginning to enjoy the feel of sand and sea and stretching out our swimming muscles. The longer days bring with them the anticipation of summer holidays. 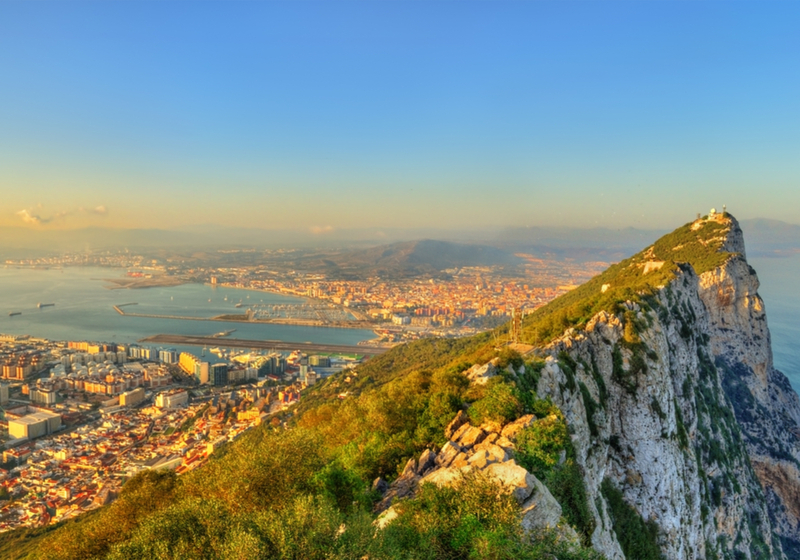 Coupled with some traditional bank holidays and spring school breaks, April is often a month of choice for holiday-lovers to take a break, and Gibraltar makes for an ideal destination. With a rapidly increasing offering in terms of hotel accommodation and self-catering short-term rental apartments, visitors to Gibraltar find that there are plenty of places to stay to suit a variety of group sizes and budgets. And with excellent transport, including an efficient and comfortable taxi service which can even organise private group tours around the Rock’s world-famous sights, everywhere and everything is within easy reach, wherever you decide to stay on the Rock. Visitors to Gibraltar will often start their stay with an excursion to the Upper Rock Nature Reserve. One of the best ways to explore our iconic Rock and make the most of the renowned sights, including some of the most spectacular views of the Strait of Gibraltar is through one of the many available organised or private tours. These usually include visits to Gibraltar’s historic military fortifications, tunnels and caves. For lovers of the arts, Gibraltar has some fine galleries and regularly holds specialist exhibitions. History fans will love tours of the splendid Garrison Library and may well be able to join in some of the regular Heritage Tours of other historic buildings. Music lovers will find Gibraltar has numerous venues for live music of all kinds, from classical to jazz and rock. Those who want to treat themselves to pampering will find beauty spas in wonderfully luxurious and relaxing surroundings, while nature lovers can spend hours and hours exploring the Nature Reserve on the Upper Rock, the stunning rock formations at St Michael’s Cave, or even on the sea through the various short trips out to Straits. And for those who really enjoy a more active lifestyle, and want to spend some time in the Mediterranean sun getting back into shape for the summer, Gibraltar offers a plethora of sporting activities, including ice skating and bowling, with easy access to canyoning, climbing, horse-riding and much more just across the border in Spain. With a highly-responsive taxi service operating all day every day, trips to and from Gibraltar’s hotels and tourist accommodation is remarkably easy. Surrounded by the sea, Gibraltar also offers opportunity to explore the coastline by sea, with numerous opportunities for sailing, kayaking and even excursions on stand-up paddleboards. Highly-trained instructors and the possibility of hiring the necessary equipment, these opportunities for more adventurous exploration of Gibraltar can be taken up by individuals or by small groups if you happen to be visiting with friends and family. Imagine gazing up at the ancient majesty of this, one of the Pillars of Hercules, from the stillness of your paddle board on a calm sea, perhaps enjoying one of the many splendid sunsets or sunrises that we are regular treated to. Gibraltar is a small territory, but it is packed with the possibility of adventure, just waiting to be sampled, and April is a wonderful month for leaving winter behind and loving the Mediterranean sun! Please extend my thanks and appreciation to Robert Chappory, Charles Baglietto, Elisa Galan and Youssef Zenboui, the four designated GTA drivers carrying out Literary Festival shuttle service. They did a great job in a very professional, albeit cordial manner; always helpful and willing assist and making all the guests feel very welcomed and comfortable. They were well organised amongst themselves and made my job easy. These four individuals were quick to build a good rapport with all those involved in the festival, and, I am proud to say, especially with me. I must admit that not only did I enjoy working with them but also their company, and even the camaraderie that was soon formed. You had taken me and my friend for the Rock Tour on 1st Feb from the Sunborn. It was a pleasure to meet you and I indicated I am impressed by the courtesy and nicety of people that I will come back. i am therefore writing to tell you that I will come back and will do the same tour with you. I will in any case connect with you before I come but wanted to give you this heads up. We really enjoyed our tour of The Rock with Ernest. Thanks so much. Just a very quick email to thank you so very much for the good time we had yesterday with Ernest. Everything went really well and he was very good to us and helped with the wheelchair. The sedan you arranged was also quite suitable for Michael which made it a good afternoon for us in Gibraltar. Ernest helped us walk through the Gardens and then, at our request, dropped us off in Main Street and we enjoyed some time meandering our way back to the ship so all in all we had a very nice time during our visit. Once again, thank you for your efforts in making it a good visit for us.